MediaCrooks: Why Is Indian Media Scared Of Sonia Gandhi? On June 15 Rahul Kanwal of Headlines Today conducted a public debate on the Lokpal bill. It was titled ‘Team Anna Vs Govt’. Not very appropriate since the supposed Govt. side had journalists Tavleen Singh and a noisy Shoma Chaudhary from Tehelka, and they surely don’t represent the government. It was the usual slugfest with the audience also involved in asking questions. Nothing about the program struck me as being new or specific except when a man wearing a green T-shirt, who introduced himself as ‘IIT Kharagpur and MBA’, started shooting questions. It was all fine until he started raising some questions about Swiss banks or KGB money apparently in relation to Sonia Gandhi. Hmmmm! That’s where Kanwal abruptly cut him off. This got me wondering all over again. It seems that there are two topics that are taboo for our mainstream media – Islamic Terror and Sonia Gandhi. Behind all their claims of being free, fearless, impartial and unbiased our MSM really doesn’t want to talk about these two topics. In a previous post I have attempted to understand why the media is scared of the Religion of Peace. (Why ‘Liberal’ Media Is Scared of TheReligion Of Peace!) But surely, the MSMs complete silence on various issues and allegations concerning Sonia Gandhi is even more intriguing. NDTV, CNN-IBN, TimesNow, Headlines Today and their Hindi versions seem reluctant to even report items appearing in various other news sources. Amazing! Sonia Gandhi seems untouchable! On June 13 when Baba Ramdev broke his fast Subramanian Swamy stated Sonia Gandhi was in Switzerland. Yet, on June 12 when she condemned the murder of journalist J.Dey the media made it appear she was making the statement as usual from Delhi. There wasn’t one mention of where she was making that statement from. That’s not all. Our all-knowing media reported that Jayalalithaa, who was in Delhi on June 14, would not be meeting Sonia Gandhi. Surprising! Given that Sonia Gandhi wasn’t even in Delhi at that time the media reports actually seem to be intended to cover up the fact that Sonia wasn’t even in India. Did Mrs Gandhi travel abroad on an airline or by a private jet? If the latter, whose jet was it? What was the purpose of the foreign visit made by the Chairperson of the NAC and the UPA? What is the itinerary of the NAC Chairperson? Which countries and cities did she, or will she, visit?....” Puri goes on to also raise the issues of allegations by former KGB members having contributed funds to Sonia and family. These are not new allegations. The allegations of corruptions and black money against Sonia Gandhi are far more serious than the ones being frequently discussed in the media. Subramanian Swamy has made allegations about her name, her birthplace, her educational qualifications, incorrect affidavit filed before the Election Commission, payments to her family by KGB and also about Rahul Gandhi. All this not only makes sorry reading but would make any politician or even an ordinary person jump. The mass media would jump at such stories. Yet our MSM has consistently maintained an eerie silence. Sonia Gandhi, of course, doesn’t talk to the nation or the media about these allegations or any other issue. S.Gurumurthy has written a detailed article in the Indian Express about Sonia Gandhi titled ‘Zero Tolerance, Secret Billions’. Subramanian Swamy’s extensive speech on the allegations against Sonia Gandhi and Rahul Gandhi is also available on Youtube. (Just Google it) Are the Barkha Dutts, the Rajdeeps, the Sagarikas, the Rahul Kanwals, the Pankaj Pachauris and many more simply unaware about all these allegations? Is there something more sinister than appears to the whole story? In 1973 under pressure in the Watergate scandal, Richard Nixon famously told Editors ‘I am not a crook”! That’s top management for you! Nixon is the only President in US history to have resigned from office. Since then we have also had famous cases like Ferdinand & Imelda Marcos who fled to the US and Alberto Fujimori of Peru who fled to Japan. 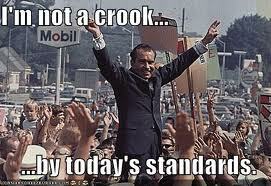 Seriously, by today’s standards Nixon’s crimes would seem far less significant. Politicians have surpassed him many times over. There are those in the Congress, the UPA, the media and prominent celebrities in public often put forward the argument that if politicians are corrupt the people get to boot them out every five years. That ‘civil society’ movements of the recent kind destroy democracy. They now cite the DMK party being booted out of power in Tamil Nadu as example. This is the most disgusting and spurious argument one can ever hear on corruption. Being booted out of office is not punishment. Putting them in jails would be the right punishment. There is no doubt there is a lot of pressure mounting on Sonia Gandhi. Swamy has even sought sanction to prosecute her. The MSM may fail it its job but the people won’t. The tag line to this blog still remains ‘Crooks and liars in the Indian media are the greatest danger to our democracy’! bravo ! swamy has a one word answer to your question / assertion - blackmail.the bjp too is seriously compromised, hence the young man's question.all the frothing at the mouth at tv debates - its SHOWTIME folks.sit back for your entertainment. the angst of the young man was palpable and more such people will hammer the wall of silence till it breaks and the floodgates released. They endorse that they are paid news to buttress whatever the government says they will let loose means they are again another way of the corrupted government's mouth piece. But I appreciate they are very loyal for the quid pro qua or shuddered at the very thought of the lady as she is from mafia infested state or over the experience of mysterious deaths of Scindia, Rajiv, and the likes, they might have learnt the adage "if you do not learn from history then history will repeat"? We have enlightened to the globe that what we are running is banana republic and thus lost our intelligence once for all from the day the bloody congis selected her as the cong leader as if no one from our nation is suitable? It is imperative that we are good servants but bad masters? She is looting the nation's opulence without impunity but there are foxes to camouflage her attitudes and they have made our SS as mad dog? As god send our apex court contributed for this might to expose the 2G scam else the TN would have become pauper with begging bowl as the dwarf meticulously played his role to loot the state and shared the whole state by his legal and illegal siblings? 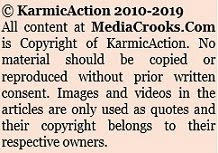 There is a fear, of what I dont know.Is the fear of losing out on croresworth of Ad revenue?I cant think of anything else, except may be, proximity of media owners with Sonia G? Media is not solely dependent on AD revenue, please check out their shareholding pattern and donation they get from west countries!! Please read this. how many people are against SG. It's a national shame to have people from all walks of life including politicians, media and govt agencies going overboard to protect a foreigner who is looting the country in broad daylight. Atleast during the British rule, it was a large group of people from the East India Company that managed to control all citizens. Now it is one individual. Given the technology and communications systems we now have, how hard is it to stand up for the country and expose the corrupt? True the media must take the maximum blame for this. But what about other political parties? Why is the main Opposition party not raising questions about Sonia's whereabouts? I think it's not fear but greed that's shut so many mouths. If a few journalists like Gurumurthy can write about this and raise questions why can't the others? As for politicians and many from the mainstream media, Sonia and her coterie must probably have important information of their wrong doings. Fear of exposure and greed are a deadly combination. No, unfortunately, I can't read Kannada but maybe I will try Google translator.. Thanks for the link though..
That Sonia Gandhi frequently uses the corporate aircraft of one of the oil companies that is the subject of public attention is known to mediapersons and others in the national capital. That Sonia Gandhi, her two children and her two sisters travel extensively is equally known. Many times,such visits are made on corporate jets, although no photographer is permitted near the runway when such flights take off and land. The media in India is silent as a mouse about such travels of the First Family of the Republic. You make a very valid point. Yes, I estimate Jayalalithaa would have known and I think in my post "Jayalalithaa goes fishing" I have wondered what she's fishing for. What's intriguing is surely why some in the media also went along with the secretive game and wanted to fool the public. Either that or the media themselves were fools who don't know what's going on under their nose in Delhi. S.Swamy just exposed everyone and showed them up for what they were. Bull's eye! Excellent article, leaves no space for argument! Mr Shek,After reading your comments, it becomes clear how India is ruled by people who talk about freedom of speech but hate the idea themselves. its shocking how some people start sending hate comments whenever any article is written against Congress or Mrs Sonia/Rahul? This is a free country & all the politicians including Sonia & Rahul must be kept accountable to Aam admi as their salaries are paid from our pockets! These are the same people who used excessive force against Baba ramdev & Anna Hazare & murdered democracy. It is a million dollar question, indeed! Agree with you totally, the journalists seem t be afraid of SG and do not have the guts to showcase the corruption in the govt but are busy trying to find reasons for covering up... what do SG and EG threaten them with ???? I do my bit by awakening in three points to 5 new persons a week and request them to do the same in turn. 2. Media is pied pipers and have no intention/incentive to serve national interests. Differentiate between biased propaganda, simple news, Trojen horses in news. Suspect all commentors on talk show...there are no free lunches. I remember around 50 years ago the famous Hollywood actress, Ava Gardner, came to India on a short visit to shoot some scenes for the screen version of John Masters' novel Bhowani Junction. A huge crowd had gathered at the Santa Cruz Airport in Bombay to ogle at her. She made a scathing comment about Indians and that found its way into the newspapers. She called Indians "boot-lickers". It is the people of this country who are to be blamed for this ridiculous situation. Everyone has a vote and this is a far sharper and more destructive weapon than Bofors could offer. Dislodge the Congress from power and exercise a telling blow on them such that they will never ever be able to raise ugly head for centuries. Was just revisiting this article by you where its amply clear that anything which is related to the First Family, the media steers clear off it. The Rahul Gandhi - Sukarny case has also been muffled down. In this background, the Sonia Travel-Bills case and the Robert Vadra expose must have come as a real shocker for these MSM guys. No longer can they turn a blind eye on this, if they want to retain a modicum of credibility. SUBRAMANIAN SWAMYJI IS THE SAVIOR OF HINDUSTAN.HE IS GOING TO CHANGE THE COURSE OF HINDUSTAN. They are all partners in this crime against our nation.That is why they are all ganged up against Modi, because they know that Modi will expose and finish off all these crooks. I pray to God that the day of reckoning comes soon. We, Hindus are guilty first and foremost of accepting, and tolerating these crimes being perpetrated on the Indian citizens by the Govt. If an uneducated and corrupt foreign family is ruling this country, is it not our fault first. As Stephen Knapp writes "Apathy is not stoicism, spirituality, freedom from emotions, or an effective buffer from negative consequences. It is about living by default, and letting others control your destiny. It is about living in illusions that the ultimate outcome does not matter or that it is merely destiny. Such mindset is contrary to the Bhagavad Gita and the cumulative wisdom of Dharma. It is abandoning everything that should matter whether motherland, culture, identity, family, or one’s future. It is allowing others, regardless of their “motives,” to make decisions for you." Bhagat Singh, please come to us again. Netaji, please come back to life. 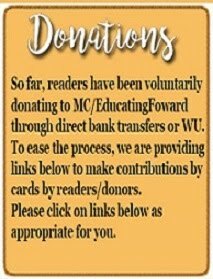 We need you more now than we did before. The enemy was easy to identify before, the white colored officer of Britannia. Now the enemy looks like us because it is us. We are our own worst enemy. Hindus need to be rescued. Sonia, Congress and the anti-national media can be and will be taken care of. This has to be a war between nobility and the proletariat, a la the French Revolution. We need the Guillotine!